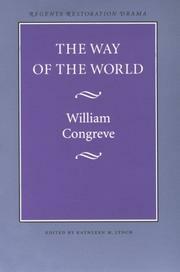 Are you sure you want to remove William Congreve from your list? 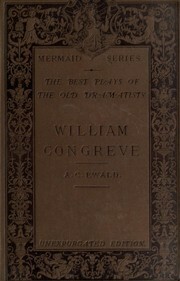 The complete plays of William Congreve. in English - Edited with introd. 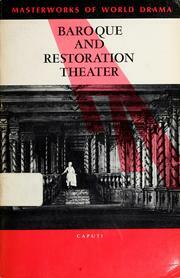 and notes by Bonamy Dobrée. 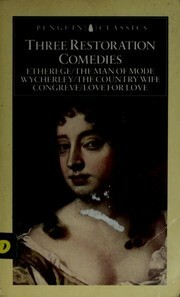 The comedies of William Congreve. 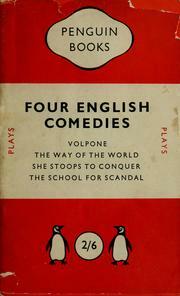 in English - Unexpugated ed. William Congreve: The best plays of the old dramatists..
in English - Unexpurgated ed. 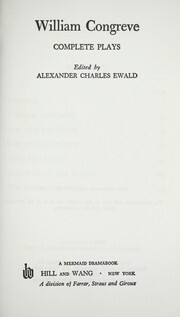 Microform in English - Unexpurgated edition.